This review was originally published in Your Weekend. Was Donald McLean, the nineteenth century New Zealand politician, a courageous statesman or an elected crook? Did his land buying practices generate prosperity or war? Is it true he was a pious Christian or was he actually a sly adulterer? To McLean’s allies he was one of the architects of the New Zealand colony, to his enemies he was an immoral politician making personal gains off government power. The truth, as historian Matthew Wright reveals in Man of Secrets: the Private Life of Donald McLean, is more complicated than either his allies or enemies would admit. Donald McLean arrived in New Zealand in 1840, “a stranger in a strange land”. Born in 1820 the young McLean exchanged the harsh upheavals of nineteenth century Scotland – including an early separation from his parents – for the promise of the colonies. After a brief stint in New South Wales the restless McLean landed his first job in New Zealand as a purchase agent for a Sydney-based timber company. Perceptive enough to realise that te reo Māori would be essential to any future success – Māori held the balance of power in the emerging colony and would continue to do so for at least another decade – McLean quickly acquired a working knowledge of the language. It was the beginning of rapid rise. In 1843 Governor FitzRoy appointed McLean to a position in the Office of the Protector of Aborigines. The focus of McLean’s work would become land purchasing. The hungry colony needed land and, with knowledge of Māori and their language, McLean was uniquely suited to the role. A decade later he would be appointed Chief Land Purchase Commissioner. Part of McLean’s success was that although he understood the Māori mind and sympathised with their struggles in the new colony, he was comfortable in his own superiority complex and was not beyond using sly tactics to secure a purchase. The effects of those sly tactics are still felt today. The Waitangi Tribunal notes that McLean’s purchasing methods were not always “transparent” and, in the case of the Waitara Purchase in the Taranaki, McLean’s methods “brought disaster”. Yet Wright takes regular swipes at this “post-colonial” history accusing some historians of “presentism” and condemning their efforts to recast history “to suit changing contemporary ideals”. It is an embarrassing distraction from an otherwise good book and it ignores the fact that Wright’s own book is an effort to recast the history of McLean. And, for the most part, Wright succeeds in doing so. Far from being the source of all evil – or a benevolent colonial founder who did no wrong – McLean is revealed as a complex man struggling with the residue of an emotionally abusive childhood, the early loss of his beloved wife and a relentless drive to succeed. That drive to succeed would take McLean all the way to Native Minister where he would cement himself as one of the most influential figures in the history of Māori-Pākehā relations. “The Tainui group, Te Iti Kahurangi, took to the national Te Matatini kapa haka stage last week and performed a haka which challenged the way [Māori Television] covered Maori issues. After the performance, its kaitataki tane Kingi Kiriona, [a former Te Karere reporter], questioned how Māori Television covered stories. He suggested that the station should be doing more uplifting stories about tangata whenua rather than negative stories about them”. “Waikato-Tainui said an initial decision by Māori Television to not show the haka performance was censorship. Te Arataura o Waikato-Tainui Chairman Rahui Papa said the matter served as a reminder to protect not only the right to freedom of speech but also the age-old Māori customary practice to openly discuss and debate issues. He said the censoring of Te Iti Kahurangi not only impinged freedom of speech but did not align with an important tikanga that had been practised for years”. There is another basic problem here: Te Iti Kahurangi is arguing for a double standard. While they made the case for their own freedom of speech, their haka simultaneously made the case against Native Affair’s freedom of speech. That is not to say Māori Television’s decision to edit the haka was right, but neither was the substance of Te Iti Kahurangi’s criticism. If this were merely a question of form then no problem arises. Te Matatini is a proper forum for voicing criticism, as Mihi Forbes acknowledged on Waatea. Yet it is equally true that Native Affairs is a proper forum for criticism and, more importantly, accountability. To suggest, like Te Iti Kahurangi did, that criticism must take a particular form - especially a form which is not accessible to all Māori - is a kind of cultural elitism. There seems to be some resistance to the idea that Māori Television is, well, Māori. As if Māori cannot take modernity and repurpose it. It is a rigid view which takes things Māori to mean things historical. The irony is that such a view is, in fact, ahistorical. Māori in colonial and postcolonial New Zealand have always borrowed Western systems, technology and aesthetics and then repurposed them. This is an issue of power, as Leonie Pihama suggests. Yet the power does not lie with Native Affairs – the primary target of the haka – but with those who the haka sought to defend. Native Affairs is a show run by a team of young women with little institutional support from Maori Television (or anyone else). Who holds the power here? Sometimes it seems like the qualities we cherish in our democracy we condemn in our politics. We revere a kind of abstract equality, but we hesitate when it means substantive equality for Māori. There are plenty of New Zealanders willing to admonish Māori underrepresentation in local government, yet few are willing to support any measures to achieve the equality they claim to support. There are plenty of intellectuals and politicians who applaud the rule of law, yet few who supported the rule of law so much that they opposed the Foreshore and Seabed Act. This is the incongruous intellectual tradition of which Gareth Morgan is a part. He supports “rangatiratanga”, yet he opposes “unique political rights for Māori”, which is rather contradictory because rangatiratanga is a unique political right for Māori: it is the right to our “unique” indigenous systems*. Surely, for the sake of credibility if not consistency, you cannot support something in one breath and then condemn it in the next. Yet Morgan seems intellectually unfazed. As one might be after solving the tax problem and the cat problem, the “Treaty problem” must seem small and simple in comparison. The New Zealand Herald - whose roster of writers on Māori issues appears to be two Pākehā men – has commissioned a four part series based on Morgan’s new book, Are We There Yet? 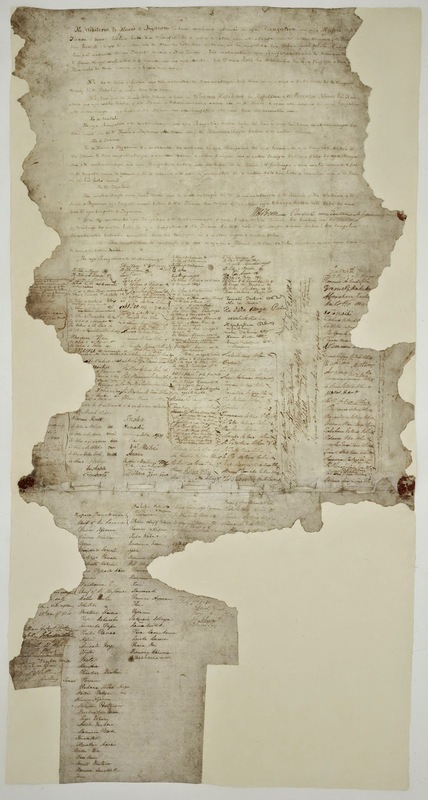 The Future of the Treaty of Waitangi. But Morgan, certainly an impressive economist and publicist, is hardly a Treaty expert. In his first column, a kind of extended inoculation, Morgan tells us the Treaty “renaissance [should] be celebrated”. Yet in the second and third columns it becomes clear that underneath this superficial optimism is a grim fatalism: the Waitangi Tribunal is using the Treaty to “divide society along descent lines”. I’m sure the members of the Tribunal would be flattered to know they are credited with such sinister power. Or, in other words, the Tribunal and the “Treaty industry” - which, ironically, Morgan is now a part of as a Treaty author – must soothe Pākehā sensitivities and avoid findings which do not meet their ideological expectations. Morgan wants to shift the full burden to Māori – we must compromise – the full measure of justice is not available to us because it is not acceptable to them (Pākehā). The statement should be reversed: how can Pākehā society offer “enduring solutions” if they do not take Māori with them? That is not to say I expect Morgan to completely understand our perspective. The relentless focus on what is acceptable to Pākehā – rather than what is just for Māori – is natural. When you are born to one culture with few voices dissimilar to your own then it is very easy to mistake the happy accident of your own cultural sensibilities as a set of natural laws. This is more common than we might hope and it is not peculiar to one culture. Yet in almost every settler colony only one culture gets to draw the line between the acceptable and the unacceptable, the normative and abnormal. Which culture gets to draw the line is a matter of power and where the line is drawn is then a matter of ideology. In New Zealand the culture that draws the line is Pākehā culture and where they draw it will often exclude Māori. And this is very much what the anti-Treaty industry does: they draw a line and declare that we go no further. But Morgan is more sophisticated than this. He wants us, rather paternalistically, to reclaim our “self-esteem” with power devolved from the state, but he will not permit measures like dedicated representation which give us some power over the state. Yet, in the final column suggesting better ways to implement the Treaty partnership, Morgan then goes on to endorse an upper house with a 50/50 split between Māori and non-Māori. Confused yet? You should be because in each column Morgan warns us of this inchoate division the Tribunal and the Treaty industry are creating, yet he then suggests a political division between Māori and non- Māori as a solution to that division. Again, Morgan seems intellectually unfazed. Which is not to say we should opposes his suggestions - most of them are already in place, all of them are acceptable steps forward – but we should recognise that he fails to examine the Treaty in a substantive way. Marking problems at the edges will not do. The Treaty partnership has no meaning without reckoning with where power lies and how it is really meant to be distributed. Social and political reality does not change just because it is unjust, it does so when the material reality that gave rise to it expires. The problem is economic – colonisation was wildly profitable, decolonisation is costly – but also ideological. Pākehā supremacy is an organising principle in New Zealand society. Certainly not in the sense that Pākehā think themselves racially superior and are pursuing a conscious agenda on that basis, rather in the sense that their systems are placed above our systems. Thus the burden of compromise always falls to Māori – we can push only for what is compatible with their system – this makes Morgan’s idea that there is some sort of creeping political division emerging an utterly ridiculous one. Think about it from an iwi perspective. For each iwi a typical settlement represents around 1 to 5 percent of what was lost. In this situation who is making the compromise? The party which agrees to concede 95 to 99 percent of what it lost or the party which agrees to return 1 to 4 percent of what it gained? *Rangatiratanga is more than a "right" as we would normally understand it. It describes a form of authority as well as the systems, practices and so on which derive from it. However, in the context of Morgan's pieces he is referring to the "right" to rangatiratanga guaranteed in the Māori text of the Treaty.